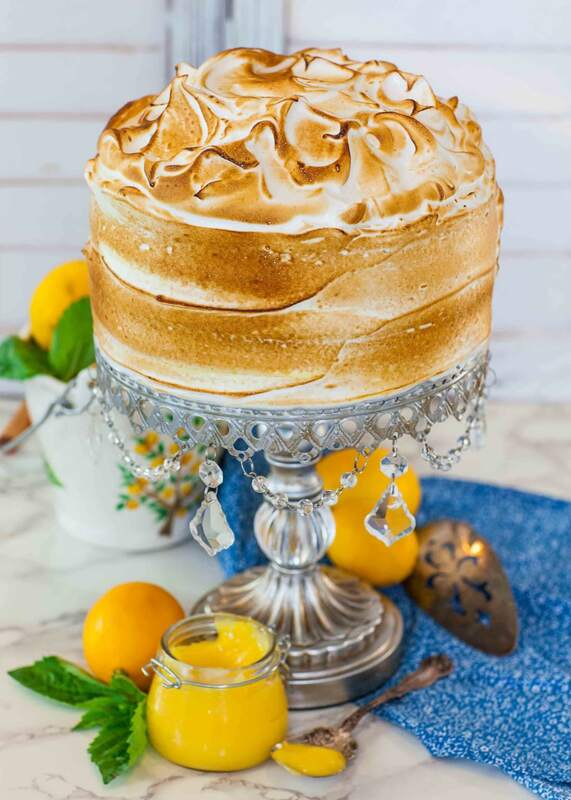 As far as lemon cakes go, this lemon meringue cake takes the cake! 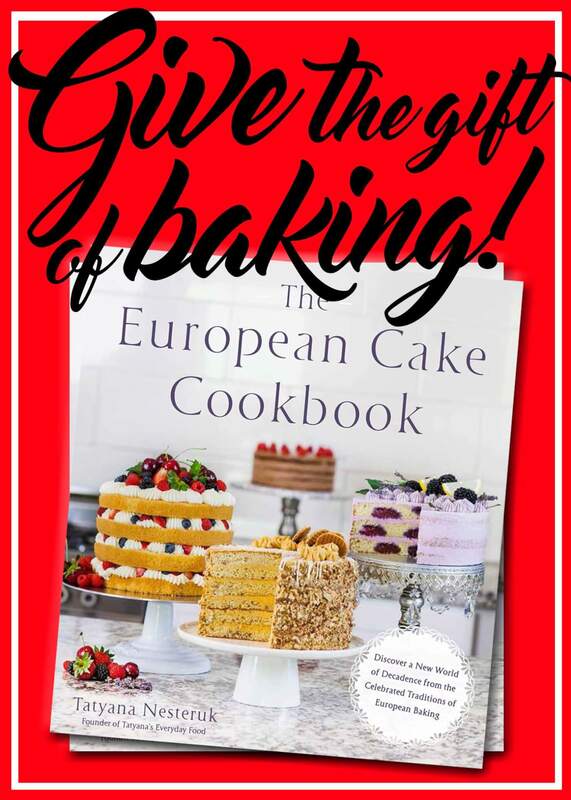 One of my all-time favorite lemon cake recipes and it’s from my cookbook, The European Cake Cookbook! And what’s not to love about this beauty?! 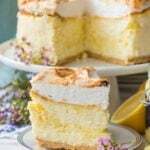 It’s made with zesty, lemon cake layers; the best homemade lemon curd made even better with meyer lemons; and a mountain of the fluffiest meringue frosting, torched to perfection. If you love lemons, you have to make this cake! 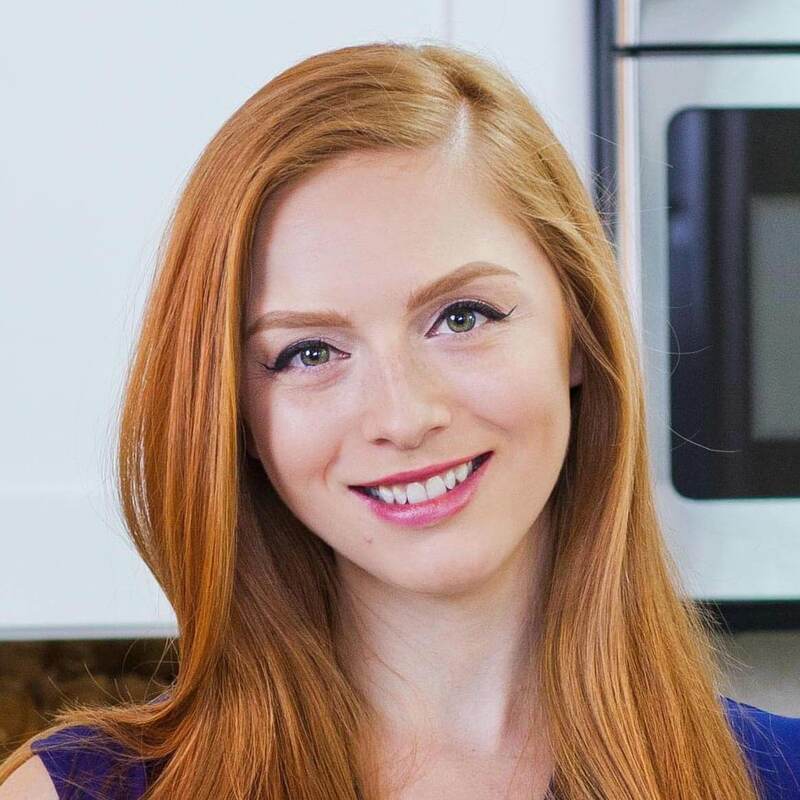 Want to get new recipe updates? Make sure to subscribe to my YouTube channel and get notifications every time I post a new video! 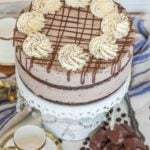 I used my ‘Basic Vanilla Cake’ for this recipe. Watch me make this cake in a separate video. 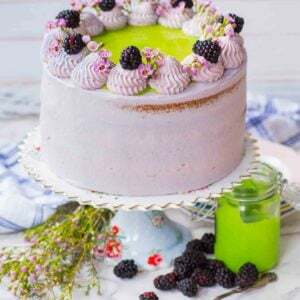 The reason why I love lemon flavor for cakes is simple – the zestiness helps breakup the sweetness of the cake and frosting. Lemon really helps balance out the flavors, in desserts and savory dishes alike. For this recipe, I just happen to have a box of meyer lemons. They are simply the best! If you are able to find meyer lemons for this cake recipe, make sure to use them! They have a remarkable lemon flavor without being overly sour. To add the most amount of zestiness to this recipe, I add fresh lemon zest straight into the cake batter. I like to use at least two extra large lemons for the optimum amount of flavor. 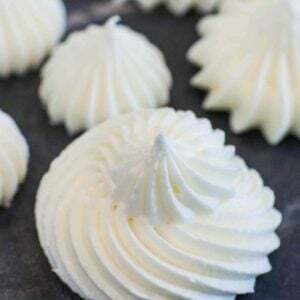 I also like to add a bit of freshly squeezed lemon juice to the meringue once it’s reached stiff peaks – the little bit of lemon juice makes a huge difference! And my homemade lemon curd is out of this world! It’s so good and you’ll never want to buy lemon curd again! 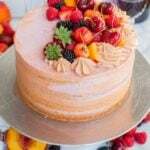 A Few Tips for a Perfect Cake! 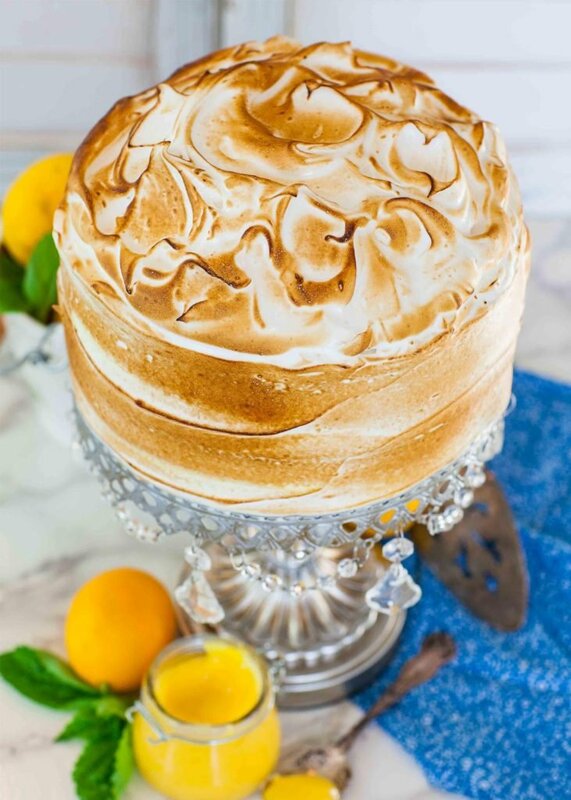 Here are a few tips to follow to make this lemon meringue cake perfect! 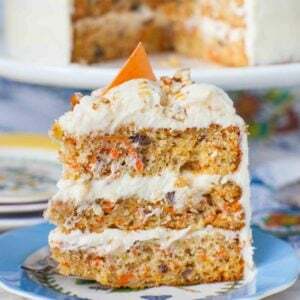 Allow the cake layers to cool completely before slicing them in half and using for this cake. Allow the lemon curd to cool completely, too. Make sure to cover the lemon curd with plastic to prevent a film from forming on the outside. 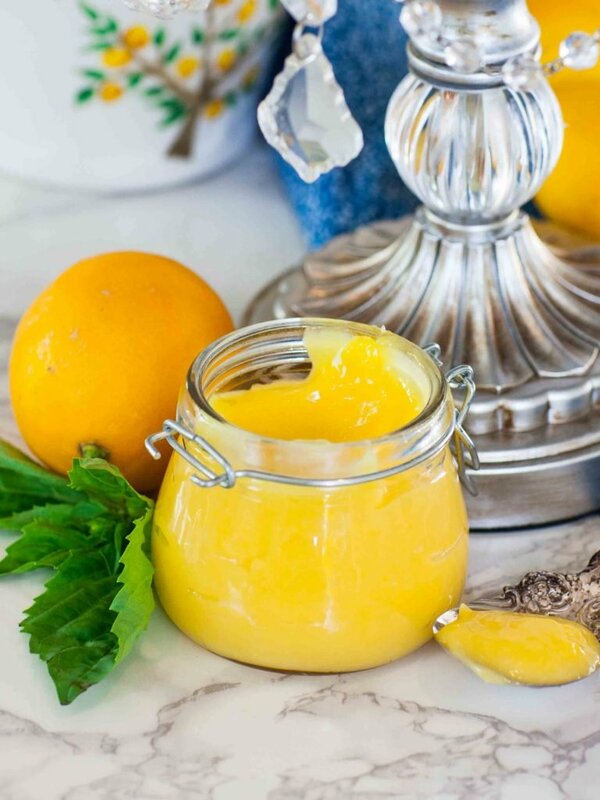 The lemon curd can be made the day before, or even a few days beforehand. Make sure your mixer bowl is SUPER clean when making the meringue. I recommend washing your bowl and whisk attachment with vinegar and a degreasing soap. Even a tiny amount of oil/fat will make the meringue fall flat and you’ll never get those stiff peaks. Allow the cake to chill in the refrigerator before attempting to move it or serve it. The meringue will be very soft at first, but will set more. These 8-inch aluminum cake pans are my favorite! And I love to use pre-cut parchment paper sheets to save time. This is the same kitchen torch I use in my kitchen. Make sure to also get the butane fuel! My classic KitchenAid stand mixer is a must for every kitchen. And this simple candy thermometer is all you need to make any sugar syrup. Also great for deep frying! 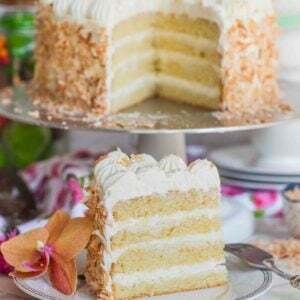 Looking for more lemon cake recipes? Try these next! One of my favorite cheesecakes – Triple Lemon Meringue Cheesecake is packed with lemon flavor! This stunning Raspberry Lemon Cake with macarons is amazing! Preheat the oven 350F and line two, 8-inch cake pans with parchment paper. Prepare one recipe of my 'Basic Vanilla Cake'; recipe linked above in the post. Once you have the batter ready, add the zest of 2 large lemons to the batter and fold in gently. Divide the cake batter evenly between the two pans. Bake the layers in the preheated oven for 28 to 30 minutes, until a toothpick inserted into the center comes out clean. Meanwhile, prepare the lemon curd. 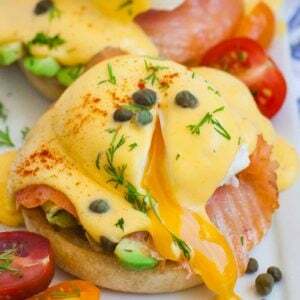 Place the eggs and egg yolks into a small sauce pot; save the egg whites for the meringue. Add the sugar to the eggs and whisk for 4 to 5 minutes, until the mixture is thick and pale. Strain the freshly squeezed lemon juice of all pulp and seeds, then add to the mixture. Heat the lemon curd over medium-low heat, stirring constantly with a rubber spatula, for 4 to 5 minutes until the curd thickens. The curd needs to thicken until it holds its shape on the back of a spoon. Remove the lemon curd from heat once thickened and add the vanilla extract and butter. Whisk until the butter is completely melted. Cover the lemon curd with plastic to prevent a film from forming. Allow the curd to cool completely in the refrigerator. Once the cake and lemon curd have cooled, prepare the meringue. Make sure to start with a super clean mixing bowl and whisk; I wash mine with vinegar and degreasing soap first. Place the egg whites into the mixer bowl and whisk til soft peaks form. Prepare the sugar syrup in a small sauce pot: combine the sugar and water and do not stir! Cook the sugar over medium-high heat until it reaches 238F, about 5 minutes. As soon as the sugar syrup reaches 238F, turn the mixer to medium speed and pour the syrup in a slow and steady stream into the egg whites. Once all the syrup is added, turn the mixer speed to high and whisk on high speed for 6 to 8 minutes, until stiff peaks form the meringue cools down. Transfer a few cups of the meringue into a pastry bag tipped with any large tip. 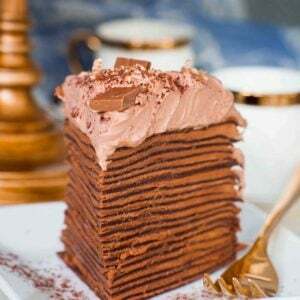 To assemble the cake, first use a long serrated knife to split the cake layers in half. Spread about 1/4 cup of the meringue onto each layer, then pipe a barrier ring of meringue around the edge of the cake layer. Fill the center with about 1/4 cup to 1/3 cup of lemon curd. Frost the outside of the cake with the remaining meringue, adding a heaping amount of the meringue on the top. Use a kitchen torch to caramelize the meringue. Allow the cake to set for a few hours in the fridge before cutting and serving the cake.